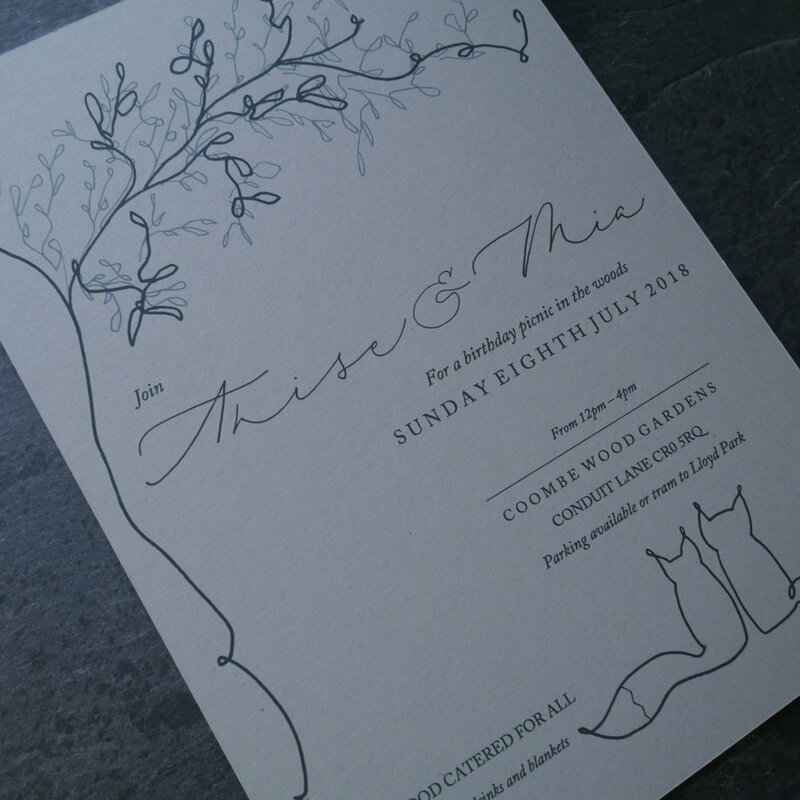 Celebrate those special moments with a uniquely designed invitation. Incorporating one-off calligraphy and illustration, these hand-designed stationery become a memento to treasure in years to come. Prices start from £250 for design plus printing costs. The starting price for calligraphy is listed as follows. 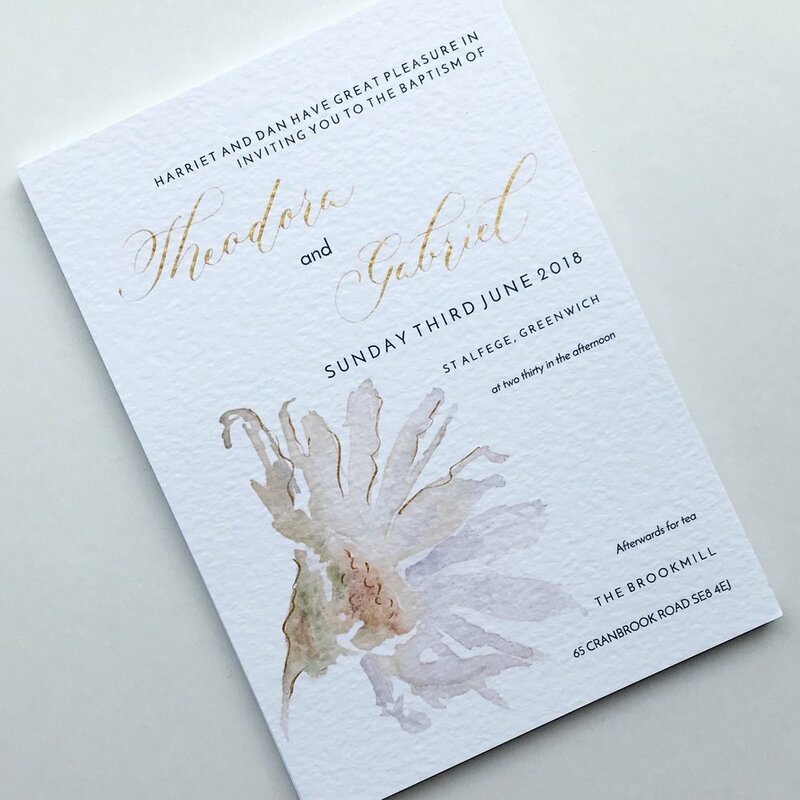 Costs can vary depending on factors including stationery colour, ink choice, and script style, so please do get in touch for a tailored quote. A note about surfaces We can accommodate writing on almost any surface such as glass, mirror, stone and wood, and would be happy to quote accordingly as required. 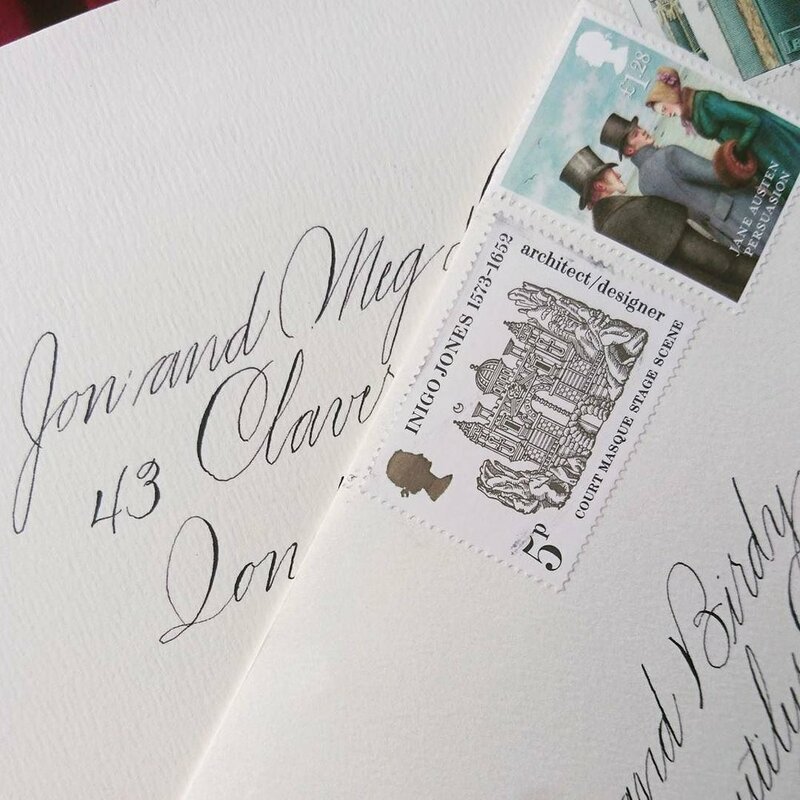 Prices start from £100 for standard calligraphy layout, and £0.50 per word. Calligraphy generally requires more space than people expect, so I've outlined some very basic size and costs by word count to give you a rough idea. Starting from the beginning with your brief, I can provide creative concepts to achieve the perfect piece for you. This might be choosing the ideal calligraphy or lettering style, the right ink and paper, or even developing illustrative elements. To take something so meaningful — a quote, a reading, a poem — and translate it into a personal keepsake with calligraphy is such an honour. 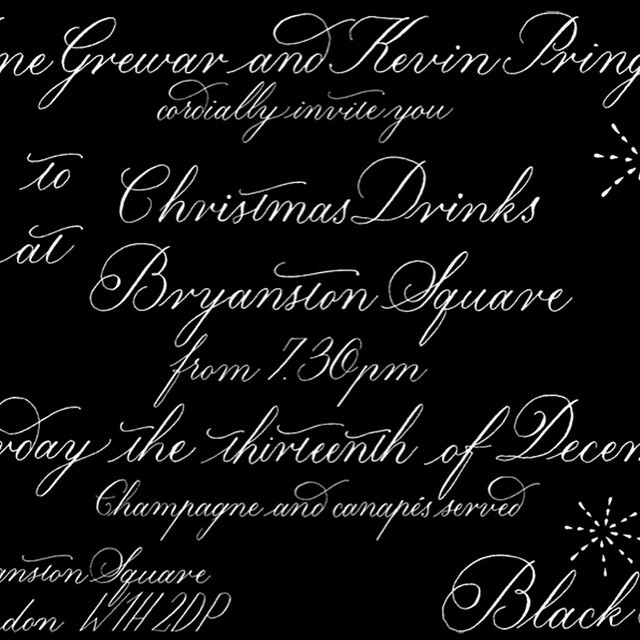 Get in touch to create your special memento. 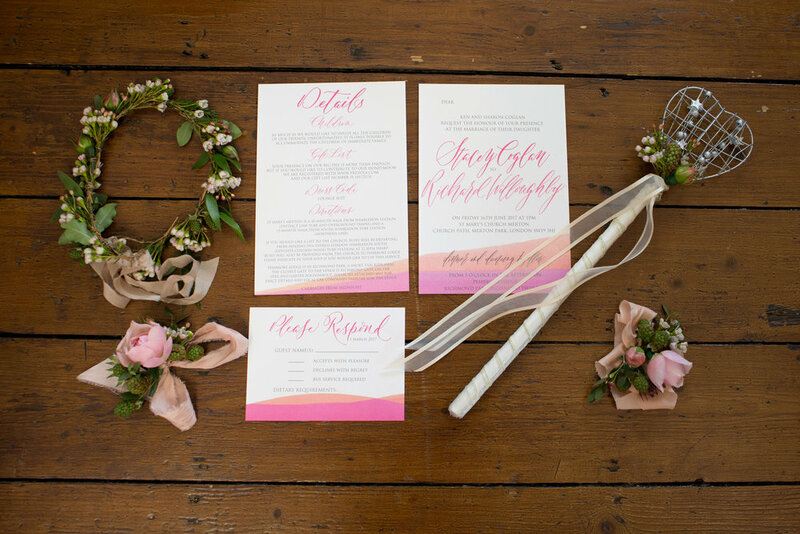 Strike the right chord for your event or branding materials with calligraphy and hand lettering from Olive & Reid Studio. We can work with you in digital and hand-written formats to create the perfect signage and event materials. Get in touch with your brief today.